Whatever the summer conditions, the first management rule is to fully and efficiently use spring pasture before dry and hot conditions reduce growth and pasture quality over the summer period. Best practice grazing management in summer builds on good practices applied in spring. Planning your summer strategy in early December can help ensure the herd’s production remains profitable for the rest of the season. Heading into summer, ensuring feed supply matches demand will mean continuing to meet pre-grazing leaf stage and post-grazing residual targets to encourage as much pasture growth as possible. It may also include the use of summer crops, nitrogen (N) fertiliser and supplements where it makes economic sense. Restricted pasture growth and milk production occurs in many parts of New Zealand as a result of dry summer conditions and irrigation restrictions. Formulating a summer management plan will prepare you for the conditions that eventuate. Every farm should have a summer management plan that sets out key decision points concerning stock and feed management. Consider a plan for early summer and late summer dry here. Alternatively, your farm consultant may be able to help you develop a plan tailored to your own situation. The summer feeding check provides a checklist of questions to consider before feeding supplement here. The supplement price calculator helps you determine how much you can pay for supplementary feed here. If you depend on irrigation, decide on irrigation priorities, e.g. crops vs pastures, good pastures vs poor pastures, or shallow soils vs deeper soils; and develop a plan to best minimise the impacts of water restrictions. Saving water in the spring when ET is low (risk to crops is minimal) also means there will be more water left for the peak season. Care must be taken not to let the soil get too dry, as it may be hard to catch up, especially with irrigators that have a long return period, e.g. when it takes longer than ten days to return to a paddock. What is good irrigation practice? It is important to know who is responsible for deciding when to start and stop irrigation and how that decision is made. Copying the neighbours is not good practice. 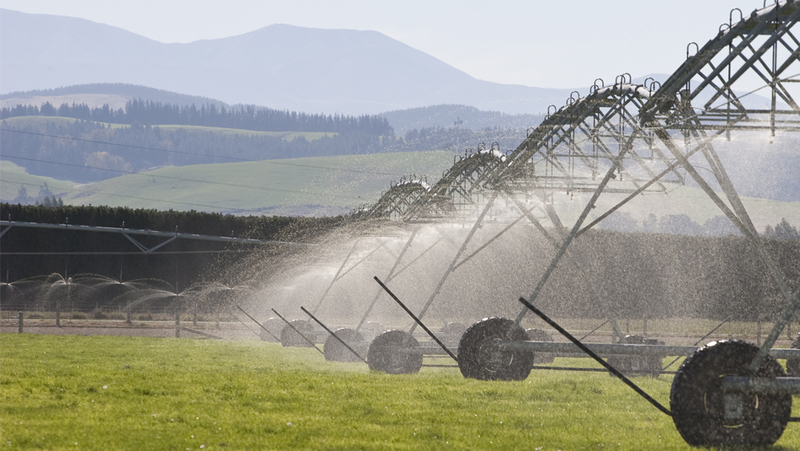 The guide to good irrigation provides information on the best time to irrigate. Transitioning from spring into summer (November to December) sees the development of reproductive tillers; where tillers become reproductive the stem elongates and eventually - if the tiller is not grazed - a seed-head is produced. New tillers or daughter tillers are growing in the base of the pasture, replacing their ‘mother’ tillers who have been vernalised over winter, go reproductive and then die. Residual height should be set in spring. Grazing ryegrass pastures to a consistent even height improves summer milk production. Residuals of 1500-1600kg DM/ha will ensure the plant maintains its energy reserves, and will provide some shading of the soil surface. A reduced grazing residual height compared with spring indicates underfeeding occurring and a threat to the growing points of existing and developing tillers. Leaving high residuals in December won’t help fill a feed deficit later; it will simply result in wasted pasture and reduced pasture growth and quality in the months ahead. The way to increase feed is by slower rotation. For more information on residuals see pasture allocation. 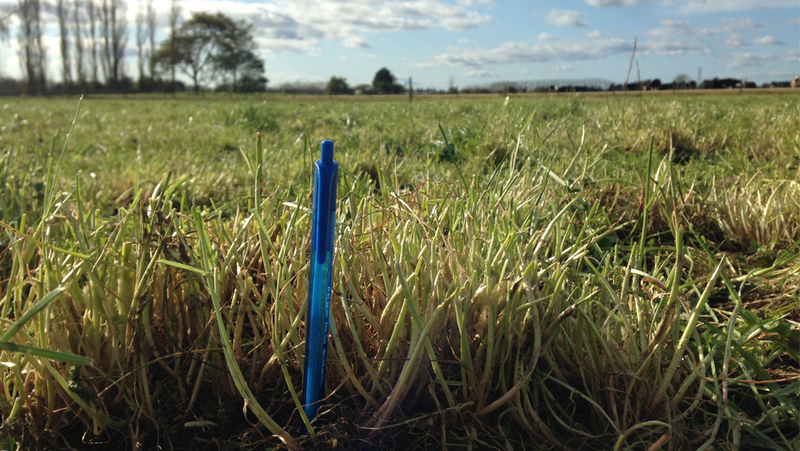 The paddock guide provides photos of different post-grazing residuals. Slowing down the round in early December by increasing the number of days in the rotation will help achieve maximum growth during summer and help ensure there is adequate feed ahead of your herd for grazing. Increase rotation length towards 30 days while there is still sufficient pasture cover to avoid reductions in production. The recommended 30-day rotation for summer (late December onwards) is determined by the average number of days required for a ryegrass plant to reestablish three leaves after grazing during summer (3 leaves x 10 days per leaf). Ryegrass leaf emergence rates slow as soil moisture reduces and temperatures increase which means the plants need more time between grazings to recover and generate new leaves. Achieving a 30-day rotation helps the plants manage the increased stress of summer and increase pasture growth. Longer rotations also benefit clover growth as clover likes higher temperatures than ryegrass and will help fill in the gaps between ryegrass plants. grazing of late surplus grass is deferred. For more information on assessing rotation length see leaf stage. 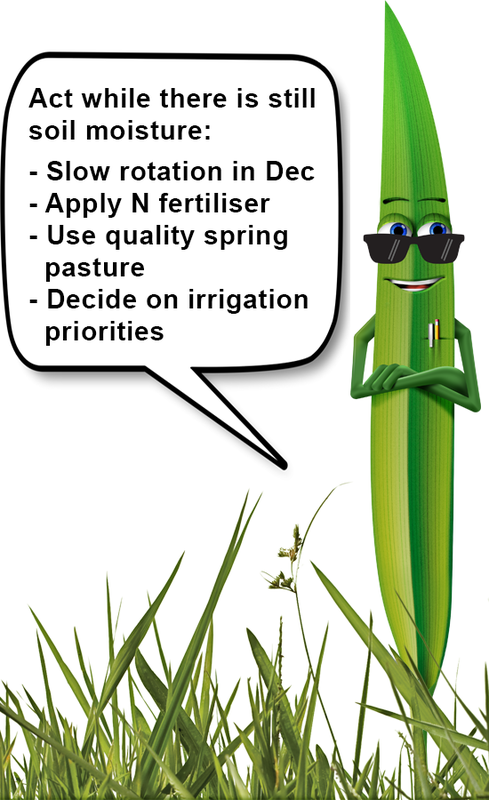 Consider an N application in early summer to stimulate the development and growth of new ryegrass tillers. Nitrogen applications should only be made if soil moisture levels are adequate for good pasture growth. Mid- to late-summer applications of N fertiliser are not recommended where low soil moisture limits growth. 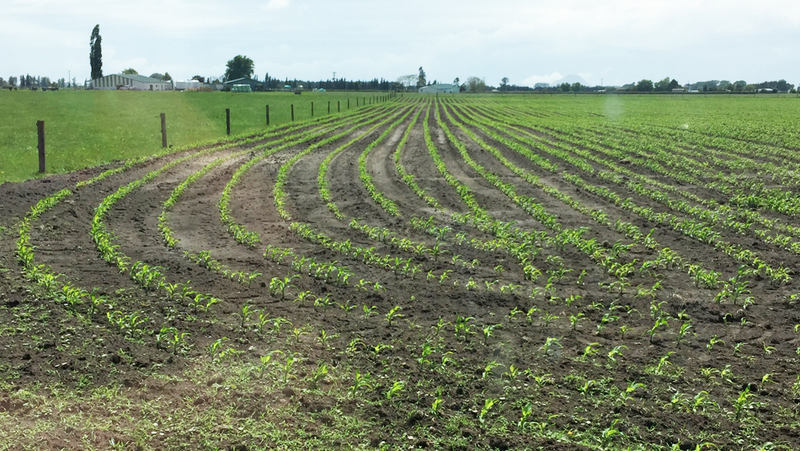 Good responses can occur on irrigated farms or regions with reliable summer rainfall. See soil fertility for pasture for seasonal nitrogen usage. Summer crops and herbs can provide a good source of energy (and protein) during the summer months in regions where pasture growth rates decline. Summer crop profitability depends on the expected pasture production and expected crop yield. Summer crop profitability very much depends on the expected pasture production from a paddock (what it would have grown over the months in crop) and expected crop yield. Plan how the crop will be fed and likely grazing and re-grassing dates before sowing to ensure the crop selected fits your system. Decisions around crops must be made in September and crops sown before early November; although there are exceptions to this rule: green feed maize, sudan, and sorghum, are crops that can be established in November and early December. Summer crop options such as turnips or chicory are limited past early November. Where the area in crop has been determined, it's important to measure and monitor yields so this feed is allocated accurately. Summer turnip varieties need 60-100 days to mature. 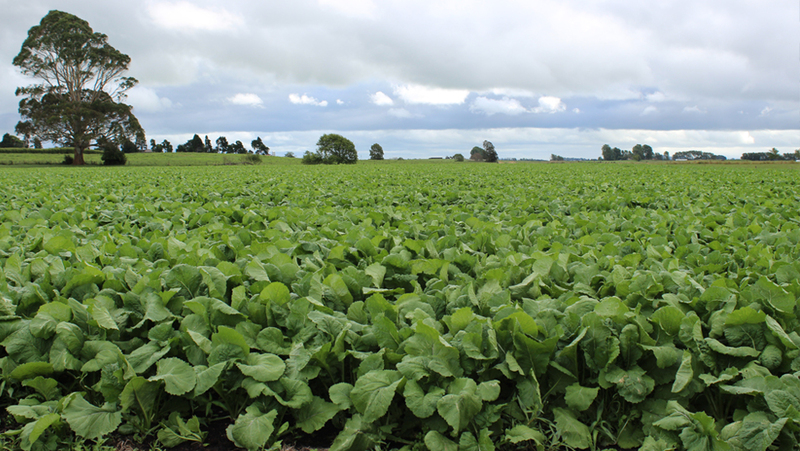 Research has shown that October sowings consistently give higher yields than November sowings, see turnips. Chicory establishes best when sown into warm soils (12°C) at less than 10mm depth. Sowing too late runs the risk of dry conditions reducing plant establishment and survival see Chicory. Plantain best establishes when sown into warm soils and should be first grazed 7-8 weeks after spring sowing (at the six-leaf stage) see Plantain. Fodder beet is an option for late lactation crop, but yield may be sacrificed where fed as a summer crop. Proper logistics planning for crop growing is important see fodder beet. Most summer crops need to be sown before early November. Green Feed maize, sudan, and sorghum provide an exception to this rule and can be established in November and early December which makes them useful when chicory and turnips are no longer an option. Sorgum x sudan grass hybrid, e.g. Bettagraze, or Sudan x sudan, e.g. Super Sweet Sudan, can be planted once soil temperatures reach 17+ degrees Celsius and rising at a 5cm depth. Only 35-45 days are required until grazing is possible but must be at least 1.2m at first cut. Regrowth can be grazed when it reaches 0.8m and no higher than 1.2m. Need to plan grazings so that feed quality is kept. Break-feed behind a wire and back-fence to protect regrowth and avoid higher intakes. Must be sprayed out before regrassing as frosted plants are toxic. Be aware of potential animal health issues (nitrate accumulation) and check sulphur levels in the diet are above 0.2%. Supplementation of sulphur is recommended if pasture sulphur is low (less than 0.25%) or more than 50% of the diet is crop. It is recommended that this type of crop is restricted to 30-40% of the diet where possible. Normal yield estimates are 12-15t DM/ha or 3.5-4.5t DM/cut or grazing (but may only get two cuts/grazings in dry years). 9-10MJ ME/kg DM. Protein at 1.2m is 12-14%, and at 0.8m protein is 15-16%. 15% DM is a good average to use. Feed value declines rapidly as crops mature (greater than 1.4m height). For more information see the Pioneer Technical Insights 801 and 805, or seek advice from your local seed representative. Green feed maize can be planted once soil temperature at a depth of 5cm at 9am is 10oC and rising, and can be green fed from 6-8 weeks after planting - though higher yields can be achieved if crop is left until cob-fill has started. Can be break fed, or harvested with a flail-type harvester or precision chopped. Not suitable for maize silage. Normal yield estimates of 10-18t (8-12t DM/ha when dry. 10.3MJME/kg DM and 9% protein, can be fed as 25-50% of the lactating cow diet. Green feed maize is 20-30% DM, under "normal” growing conditions, maize silage will accumulate 200-300kg DM/ha/day. Green-feeding reduces the crop's yield and increases the cost/kg DM. As the crop gets closer to harvest, the maize growth slows and the amount of yield you lose decreases. Talk to your local seed representative for latest seed options and sowing information and see maize for growing tips. Decision rules around feeding supplements need to be made alongside knowledge of overall expected feed supply and demand. The Summer Feeding Checklist will take you through steps to work out when you'll get a good financial return from using supplements. 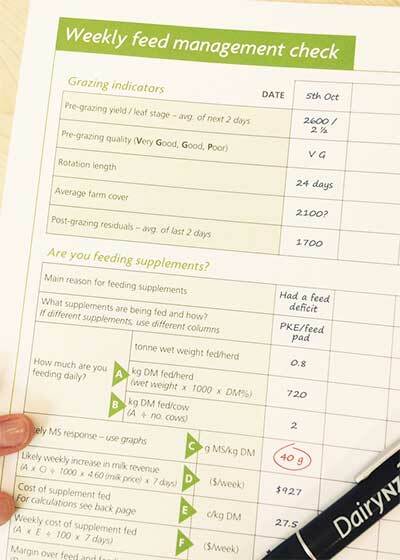 The 'weekly feed management check' template included in the summer feeding checklist will help you monitor grazing indicators (pre-grazing yield, rotation length, average farm cover, post-grazing residuals) alongside supplement use to determine whether or not money will be made from feeding supplement. It also provides a checklist of questions needed to be considered before supplement is purchased. What to choose? How much to pay? DairyNZ’s supplement price calculator will help you determine how much you can pay for supplementary feed during a shortage. It provides a more detailed output with regards to different feed types, amounts, and time of the year. Note the milk response in these resources is determined based on energy being the limiting factor to milk production. While this is typically the case when cows are eating high quality pasture, in summer or early autumn the availability and quality of the pasture declines and the use of low protein supplements, e.g. maize silage and fodder beet, increases. Therefore, in some instances protein may be limiting milk production. However, protein supplements are usually expensive and even with a milk response, the extra milk revenue does not typically outweigh the cost of feeding a protein supplement. See Inside Dairy article Should I supplement with protein in summer? Another factor to consider if using large amounts of supplements in summer is ensuring cows have adequate effective fibre. For example, although PKE is high in neutral detergent fibre (NDF), it contains no effective fibre. From a rumen health perspective, a forage source (pasture, straw, hay) may need to be included in the diet if PKE is being fed. For more information see DairyNZ’s FeedRight booklet. A pre-Christmas BCS assessment determines if cows have gained BCS since planned start of mating and a management plan for the autumn can be set up. Plan to assess cows’ gain mid-February to mid-March to determine if the plan is working and to decide if some cows should be dried off early, milked once-a-day (OAD) or preferentially fed.